Upon leading at the halfway mark, a defect gearshift component ended the Intercontinental GT Challenge’s California 8 Hour early for the No. 912 Wright Motorsports Porsche 911 GT3 R entry of Matt Campbell [Australia], Dennis Olsen [Norway], Dirk Werner [Germany]. Despite the unfortunate outcome, the group saw their experience and teamwork shine through cooperation with Park Place Motorsports on a third-place podium result. Wright Motorsports’ weekend started out on a high, after a strong lap by Campbell qualified the No. 912 in fifth place for the 8-hour event. Come time for the start of the race, Werner slipped back to ninth in an effort to avoid contact on the front straight. From there, the battles ensued as each of the three drivers cycled through single stints and pushed the Porsche to the front. Three hours into the race, Campbell was at the wheel when he made a powerful charge from ninth to the overall lead, before handing the car off to Werner for his second stint. The German was maintaining a comfortable lead, when the parts issue came into play, ultimately ending the day for the team at the halfway mark. While the No. 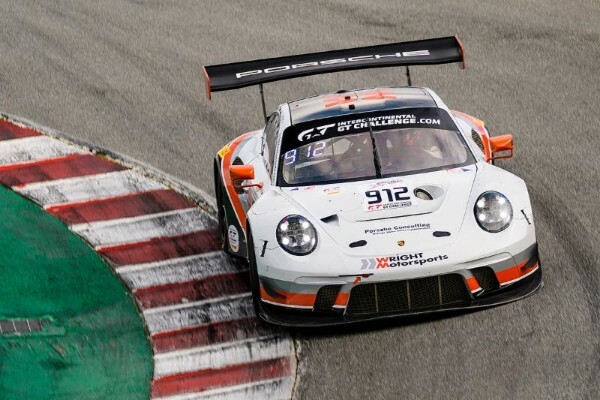 912 Porsche 911 GT3 R entry may not have seen the checkered flag, the Wright Motorsports team is pleased to have seen their hard work pay off through the likes of Park Place Motorsports. Though usually competitors, the collaboration between the two teams proved to be a key contribution to the mutual objective of furthering Porsche’s championship contingent. 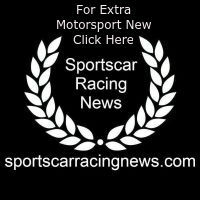 Wright Motorsports will be back in action for the regular SRO America season, April 25-28 at VIRginia International Raceway.